Featuring David’s four Bravo!FACT-funded short films. I would like to express thanks on behalf of myself and my family for the overwhelming amount of condolences we have received since my brother David's tragic death on December 12. His loss is incredibly painful to us, but knowing the impact he made in this world makes us proud. David lived a very full life. In his 34 years he experienced and accomplished more than many people do in a lifetime. He was truly one-of-a-kind. Soulful, warm-hearted, charismatic, adventurous, creative, intelligent, talented, funny...the list goes on. David followed his dreams and inspired and touched so many peoples lives, including many in the Jewish cultural world. From my own perspective, aside from him being an amazing big brother, role model, and friend, I owe David for my current career – it was his interest in Yiddish culture and music that ultimately led me to pursue my musical career in klezmer. It would take me thousands more words to adequately pay tribute to my brother. In lieu of that, I want to at least announce that there will be a tribute broadcast in Canada on Bravo! TV on February 2, 7:30pm est (4:30pm pst) featuring 4 of David’s short films, 2 of which I was privileged to contribute music to with Beyond the Pale. Details are on the KlezmerShack calendar. Many other memorial efforts are being planned, including tributes at the Toronto Jewish Film Festival in May and at KlezKanada in August. My family and I also have ambitious plans for lasting memorial tributes to David, including an endowment or awards of some kind for young artists involved in Jewish culture. If anyone would like to help honour David’s memory and keep his spirit alive, please donate to David’s memorial fund (info below). And if you have personal stories or remembrances of David that you would like to share we would be very happy to hear them. I don't even know what to say about this. The album cover says it all, but you'll have to read the review to know how I heard it. Henry Sapoznik, with Austin's musical ambassador, Mark Rubin, and the absolutely stunning fiddle of Cookie Segelstein, teamed up to bring us the one and only Youngers of Zion / Protocols. Listen or else. Can you cover all of Yiddish music, with sufficient coherence, in just one CD? If anyone could do it, Lorin Sklamberg and Frank London are the two to do it. 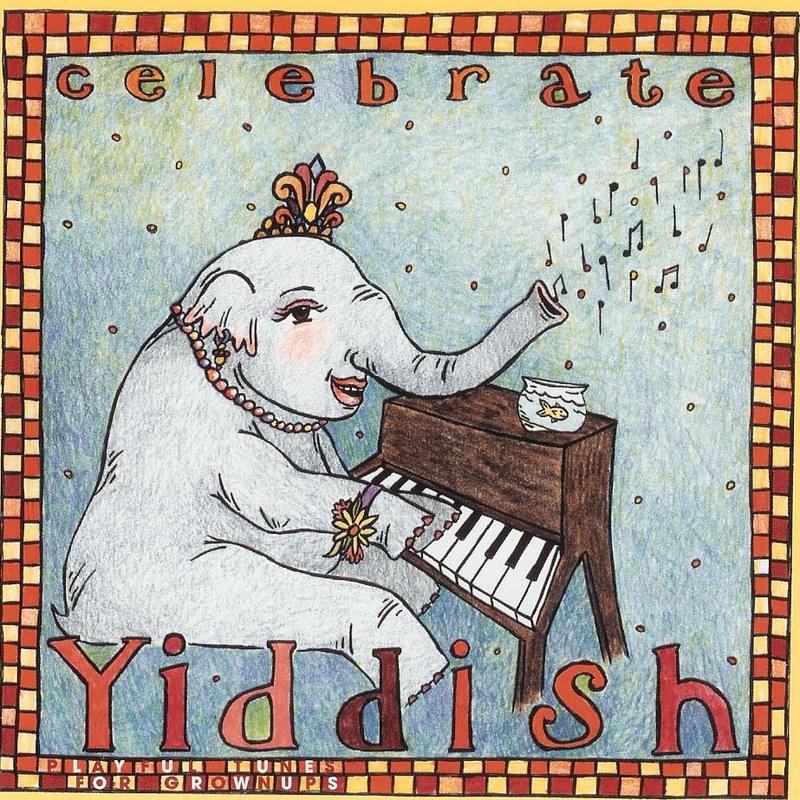 Check out this latest excuse to celebrate on Celebrate Yiddish from Craig Taubman and the gang. In this third CD from Berlin's Paul Brody, there is no cessation of the creative deconstruction of Jewish music. The results are far more tuneful than one would expect, and I am always grateful that Brody seems to pull together music that seems both edgy and listenable at the same time. Paul Brody's Sadawi / Beyond Babylon. Ellott Simon on "Music from the Winery"
It isn't entirely clear from the review text, but this is a review of a new Tzadik CD which includes cuts from the David Krakauer-curated "Klezmer Brunch" performances made at NYC's Tonic, a former winery on the Lower East Side. But the review does point out what amazing music occurred during the klezmer brunches' five year run. I am thrilled that there is a CD with at least some excerpts from the period. For the full review, see Music from the Winery in the online "All About Jazz site. In the same issue of AAJ, Simon covers Krakauer, the Winery, and more in David Krakauer & Jovino Santos Neto. This article has been making the rounds all weekend. At first I figured I had no interest. I am in the minority of folks who don't inherently care to know more about Stalin, in particular whatever hook might be attached to: How Stalin invented world music, by Joe Boyd (2nd article - the first is also interesting). But I was wrong. In the face of ongoing e-mails from unrelated friends, I decided to see what was up. This is a fascinating article. Don't miss it. Seth Rogovoy on "What the Klezmer Revival can teach Sephardic Music"
In this week's Forward (Feb. 21): "What the Klezmer Revival can teach Sephardic music", by Seth Rogovoy. Yes, I've already talked about the inane Forward "you must register or else" web viewing style, today. But, here's the thing. Do make the effort to read the article. Do you agree with Seth? Does his article account for the fact that Klezmer no longer seems to be the hip form (at least, not to the young, hip set - by me, and I presume by Seth, we're still excited), and harder to book? Is there a different path Sephardic music fans could take, or are taking, or should fans worry about the music's popularity or familiarity among the non-cognoscenti in the first place? (trying not to give away too much that is in the article - if you post a comment, do make sure that you have read what Seth had to say first. Some quibbles for those who have read the article: First, without arguing for a minute against the fact that Golem do a dynamite version of "Ocho Kandelikos" (after seeing them live this December they are firmly on my "never miss a chance to see" list), writing pilpul to try to prove that a Bosnian song written in Ladino could properly be considered "Eastern European" is a bit of, well, pilpul. Second, I do want to note that I recently had an e-mail conversation with singer/researcher Judith Cohen about the music of Sarah Aroeste. Both Cohen and I are big fans of Aroeste, so it was odd to read him contrast the two singers' work (one traditional, one not) as though they might be at odds. And finally, while advice is being offered on how to make Sephardic music more successful than klezmer, it should be noted that Sephardic music significantly outsells klezmer in Judaica shops. The explosive Sephardic music scene in Israel (and the spin-offs into rock, hip hop, and dance music) is also worth noting. Having said all of that, as I said, Rogovoy has excellent points to make and I thank him for writing the article. The Forward is yet another publication with that useless "register before reading" hassle that trades millions of general bits of viewing info for 10s of specific viewing info, but it still publishes interesting articles, such as Kabbalistic Kirtan: Just Replace Hindu With Hebrew, by Rachel Zuckerman, published on Jan 14, 2005. It's an interesting article about some very good, very interesting new music from Philly. Last week I wrote about a new Jewish Music Forum that will feature talks on a wide variety of Jewish music around the world. In answer to a query from Switzerland, a participant from the American Society for Jewish Music posted that "The sessions will be recorded and webcast through the Center for Jewish History's website, www.cjh.org. Needless to say, this is almost as exciting as the news of the forum, itself, and does greatly expand the reach of the talks. Huddled Parcheesi playing ... cut throat! ... around a tiny blazing fire, freezing in the Rif Mountains—I'm wearing every layer of clothing I have, piled layer upon silken wooly fleecy layer, trying to keep warm in the Rif Kif Spliff Moroccan mountains under a yellow crescent moon. Chef - Mira! - Chaouen 'Look at the Horns of Chaouen' climbing blue cubist arched Medina alley/snickleways up the hillsides; miniscule plazas, olive trees growing up through arbours, stairways leading to balconies rooftops upper twisting lanes, and hidden courtyards, everywhere shades of blue, deep Cerulean mysterious brilliant blue fading to soft almost lavender. So beautiful! A Jewish innovation from the 1930s. sheer genius! Greetings of Hola!Bonjour!Salaam!—my polyglot mixture of Spanish French and Arabic is mirrored by everyone else. In the daytime the sun is blissfully warm. The red mud walls of the old Kasbah of Moulay Ali ben Raschid ( 1471) dominate Uta el Hammam Square, and outdoor cafès offer standard Berber food, from the shockingly sweet mint tea like one's worst sugar nightmare to Tajines, wonderful oranges lots of mutton-on-the-hoof as unwilling sheep are dragged through the strteets to their fate; by afternoon carts full of fresh pastries appear. Around the main square gaudy goods are proffered - pushed?- by the usual mixture of con men, in your face salesmen and sweet little old men. Figures wander through the lanes wrapped in wool Burnouses, pointed hoods keeping off the winter mountain chill and lending a Middle Earth ( Middle Ages?) cast to everyday life. Accenting blue walls and passageways are gorgeous textiles carpets jumpers pottery bags of dyes spices and unknowable lumps of 'stuff'. Tonight I bought a rock which purports to become shampoo when rubbed with hot water! We'll see! The old Caravansarai, the old Mellah ( Jewish Quarter- Jews arrived in 1494 after being expelled from Spain), a cheerful Eastern Breughelish laundry scene by the waterfall; river rushing down from the spring above town- quite fantastic! PS. Aziz won the cut throat Parcheesi game! The 20th annual KlezKamp has come and gone. Bob Blacksberg has done his usual wonderful job of taking pictures and putting them online. You can sample them at rblacksberg.com/page2.html. Lots of people posted to the Jewish-Music mailing list, and gave me permission to gather everyone's excitement, pleasure, kvetches, and everything that makes KlezKamp the wonderful experience that it is into one long webpage. It's a wonderful crew, have a good read. hi, as you know, I'm not a great opera fan, and much much less a fan of traditional songs being performed by opera singers. But Victoria de los Angeles was a great singer and a great person, whom I met because she pioneered the performance of Sephardic songs in Spain: her "10 Sephardic songs" were the introduction to the repertoire for many Spaniards and in many ways the "justification" of a folk repertoire in the eyes of those who need such "justifications". But more than that, she was also a great person. I met her about 13-14 years ago, when we were both giving brief summer workshops at a university in the north of Spain, she in opera technique, and I in Sephardic music. At the time, I was doing a post-doc project on the performance of Sephardic songs in non'traditional ways, and was interviewing several singers- finding her at that same setting was serendipitous, and very rewarding. I was struck by how completely unpretentious she was, and how easy and delightful to speak with - and very moved when she told me she had "learned from me." The idea of the site is to provide people who wish to use Yiddish sources in historical research with links to materials, institutions etcetera and it grew out of my own collection of links and it seemed a good thing to turn them into a site. The site is very much a work in progress and this is the first basic version, i will be adding more things over time. I would like to invite everybody to take a look and send me any comments, criticisms or suggestions you might have. Over the past two years, Mark Kligman, Judah Cohen and I have been working with the American Society for Jewish Music to design a new academic organization for Jewish music, the Jewish Music Forum. We’re now launching our first public events in the spring semester. We hope [these sessions] will be the beginning of a major new resource for all folks interested in researching Jewish music. The Jewish Music Forum, a new initiative of the American Society for Jewish Music, an affiliate of the American Jewish Historical Society at the Center for Jewish History, is pleased to announce its inaugural academic seminar series. This ongoing seminar will feature leading scholars presenting new research findings and theoretical contributions to the academic study of Jewish music. All events are free and open to the public. "New Perspectives on Music in Jewish Life"
Professor Kay Kaufman Shelemay, G. Gordon Watts Professor of Music at Harvard University, Inaugural Lecture, "Memory and History in Jewish Music"
Professor Edwin Seroussi, Emanuel Alexandre Professor of Musicology at the Hebrew University in Jerusalem, "Studying Jewish Music in Israel: Achievements, Failures and Challenges for the Future"
Professor Judah M. Cohen, New York University, "Who Will Reclaim the Golden Sounds? : Judaism, Tradition, and Music Scholarship in an American Context"
Professor Mark Kligman, Hebrew Union College-Jewish Institute of Religion, "Beyond Yiddishland: New Studies from the Jewish Musical Mediterranean"
James Loeffler, Columbia University, "Between Wissenschaft and Etnografiia: The Search for a Jewish Musical Science in Eurasia, Past and Present"
All sessions will take place on Friday mornings, beginning at 10:00 AM at the Center for Jewish History. Please RSVP via e-mail to the American Society for Jewish Music or tel: 212-294-8328. For additional information, please see www.jewishmusic-asjm.org. New Klezmatics CD: "Brother Moses Smote the Water"
I noticed this on the Piranha catalog a couple of weeks ago and was too distracted to pass it on. Now it's official, from the Piranha email newsletter. Not sure when Rounder will bring it out in this country. Lorin? Frank? Music from "The Shvitz" revisited! It's official. As I wrote last week, the KlezmerShack started, in part as a place to put six reviews that I wrote for Whole Earth Review (Fall 1995). I'm not good at holding on to copies of things, so it will come as no surprise that I long ago donated my old copies of WER to a prison library. One of my most vivid memories about writing those initial reviews (taking the time to try to write just one paragraph about each CD, rather than drown the reader in ill-thought verbosity) is how I held up the articles for two new CDs: The Statman/Grisman CD that friends were very excited about, and the new Klezmatics "Jews with Horns". 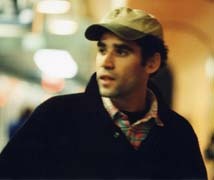 In the end, however, although the KlezmerShack launched, as near as I can tell, with a review of "Jews with Horns" (and reviews of the two preceding Klezmatics albums, as well) I apparently decided to write a review of Frank London's first solo album, the soundtrack to a wonderful movie, "The Shvitz". Who remembered? Although, thinking back, I suspect that I was working on breadth: I wanted to give people a sense, from the recent Tarras reissue to this CD, of how much territory, even back in 1995, "klezmer" covered. As I type this note, I am listening again to the soundtrack. It's still good. Features folks like Frank and the entire Klezmatics team, plus Elliott Sharp and Marc Ribot and Greg Wall and other less-familiar names of folks who became the mainstay of the Radical Jewish Music team on Tzadik. It's still worth listening to, just like the other five recordings. But then, so is "Jews with Horns"! When you have to choose only six recordings, it's hard to go wrong! Thirteen doinas and seventeen kale bazetsns transcribed and edited by Cookie Segelstein and Joshua Horowitz, most for the first time in print. From well-known Jewish kale bazetsns to Romanian doinas taken from field recordings, this collection includes a thorough introduction by Horowitz, and a discography of sources. This program, encompassing Jewish classical and folk traditions, introduces the unique musical heritage stemming from Jewish composers and their communities in pre-war Eastern Europe. One of the fascinating stories of early klezmer is that of the Belf Romanian Orchestra. About all we know about them is that they now appear to have been Ukrainian, and recorded some wonderfully florid klezmer tunes that continue to be prized. Jeffrey Wollock summarized what little we know of the band in his lovely "European Recordings of Jewish Instrumental Folk Music, 1911-1914," (ARSC Journal V28, N1, Spring 1997). But where can you get the recordings? Fans such as Kurt Bjorling supply high quality cassettes. Anthologies of early recordings usually have one or two. Now Mark Rubin has made 27 MP3s available for everyone's listening pleasure: www.belfsmusic.com. You get time to check this site [www.belfsmusic.com] out? It's my latest hobby. Would appreciate a link. 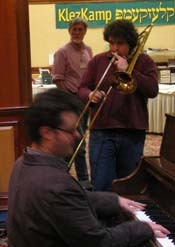 Just got back from NYC where I did sessions with German Goldynstein and Frank London's Klezmer Brass All Stars. We did a day of German's tunes under the direction of M. Alpert with considerable contributions from London, Jeff and Deb Warschauer and the very hip and you can remember I told you about him years from now Alex Kontorovich. Frank's sessions the next day included a 7 piece Brazilian percussion ensemble, 6 female vocalists (under the sly name Kol Isha) and Alpert singing one of his Yiddish tunes only this time in Spanish and in the style of a Mexican banda (I played guitar BTW as there were 2 tuba players on the date....) In other words, a typically brilliant Frank London project. I came home to my beloved Red State with a nasty cold and high as a kite on the memory of the music. No word on release dates for either, but I can hardly wait. BTW: Didja get the YOZ CD?? Curious to know what you think of it. I continue to dig it no matter what anybody thinks of it. from a blog called "elephantitis of the mind". Thank you! You may want to have a look at the January edition of NewMusicBox.org, the webmag of the American Music Center, all about klezmer this month! it includes a feature on David Krakauer and shorter pieces (in the LeadSheet section) by various other klezmer instrumentalists, including Metropolitan Klezmer & Isle of Klezbos' reed player, Debra Kreisberg. I'll add that Seth Rogovoy's summary of Klezmer is pretty decent, and I really enjoyed Seth Kibel's and Anthony Coleman's comments, and others, alongside Debra's. Nice interview with David Krakauer, too, but that's in PDF form, which is a bit clunky for this purpose. 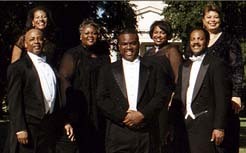 Two stunning vocal ensembles come together to present a soul-stirring concert of music. Performances are Saturday, January 22 at 8pm and Sunday, January 23 at 2pm. Yankele has released the cd and score collection of "The Spirit of Klezmer" from "Editions Lemoine". For the first time ever a Klezmer collection presents at the same an explanation of special effects and arrangements that permits you to vary the players. For example, you can play alone as a soloist with the cd, or as a clarinet- piano duet, or as a trio with violin, clarinet quartet, flute quartet, quintet with guitar, accoredeon, stringbass, etc.! Music from the World's Kosher Kitchens by Michael Wex is a review of a new book by Yale Strom. A Slew of new CDs to take into 2005 by Seth Rogovoy is a nicely diverse set of reviews of new Jewish music.